I’m writing [about] the IEEE 1622.2 election results reporting draft standard. I’m the chair of the sponsoring committee in IEEE and editor of the 1622.2 draft standard, and we’ve had significant input/buy-in into the standard from several of the manufacturers, a number of election officials including the Ohio SoS (who published November results in the 1622.2 format), and some industry groups such as the Associated Press. I’ve enjoyed working closely with Kim Brace [of Election Data Services, Inc.] especially, who was very helpful in making this not only a format for election results reporting but also a format for election management system import/export in general. Sarah Whitt from Wisconsin[‘s Government Accountability Board] chairs the 1622.2 working group and has been very helpful in attracting other election officials to the IEEE. The 1622.2 draft standard is a good piece of work not only because it had direct input from the audiences I’ve mentioned above, but also because the XML import/export format it contains was based on a well thought-out data model that is being used for other common data format standards underway such as for electronic pollbooks and voter registration databases. It addresses election management systems in general – pre-election, election night, and certified results. It handles geopolitical geography across many different types of jurisdictions quite well (thanks mainly to Kim and the Associated Press and input from states such as Sarah’s Wisconsin that have more complicated geography), and it contains the capability for associating multiple identifiers with the data elements so that they can be cross-referenced. By this, I mean that a district, for example, can have a variety of different identifiers associated with it, perhaps for a county, across the state, and perhaps nationally, with the intention of eventually guiding states to using more consistent identifiers that will then make it significantly easier for election analysts. We have heard consistently that data aggregation across counties and across states can be quite difficult, with sometimes each county having its own set of identifiers for geographies such as districts that span multiple counties, and we believe that the 1622.2 format will assist significantly in helping counties and states to unify identifiers and produce election data that can be reported and digested readily. Because the 1622.2 format is, at heart, simply a low-level import/export format, other applications such as [Pew’s Voting Information Project (VIP)] can use it as a base format – we have, by the way, written translations between the 1622.2 format and VIP’s, and found that the translations work quite well. Pew has agreed to review the draft standard, with my intention being to ensure interoperability with … the VIP schema. We anticipate that the 1622.2 standard will eventually be adopted as part of the next set of voting system standards… I mentioned that Ohio published their November results in the 1622.2 format – Ohio would like to use this format also to make election management systems from different vendors work together smoothly so that data can be easily aggregated up at the state level. I’m especially indebted to Matt Masterson [of Ohio – and EAC Commissioner!] for his help here. http://grouper.ieee.org/groups/1622/groups/2/ – the deadline is Thursday, January 15, 2015. This kind of work doesn’t get the attention of high-profile lawsuits or legislation, but it’s incredibly vital to the future of the profession. I’ll be taking a look at the standard before January 15 and I encourage you to do the same. Thanks to John and Sarah and everyone else who has gotten the IEEE standard this far – you are doing true election geek work! 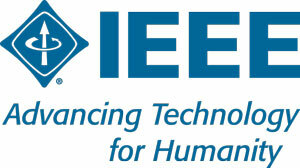 Be the first to comment on "IEEE Seeks Comments, Votes on New Election Data Standard"